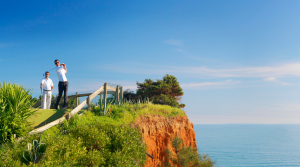 Get to know this fantastic country and its cities, Lisbon, Oporto, and the Algarve. From Churches to Castles, from Palaces to Museums, from historical streets to viewpoints, in Portugal you will find in almost every corner traces of a unique and strong empire that once has controlled the world commerce of spices and silks, gold and silver. Here you can visit the world´s most expensive chapel, or some of the one of kind Ferraris of the XV century, at Coches Museum. Explore everything and get to know how globalisation started in this part of the world and was made by Portuguese during two centuries where man and woman rise a small and poor country into the biggest Empire of its age..